Emulate3D develops engineering software designed to improve and accelerate automated system design and testing. Users create dynamic digital twins of existing or proposed projects in order to understand and improve throughputs and system operation, as well as reducing commissioning time and costs at implementation. 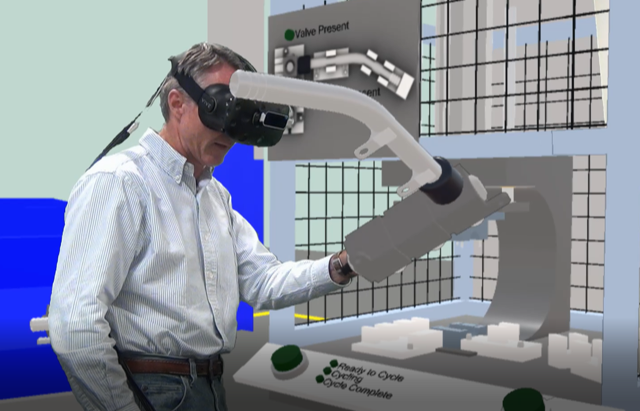 All models built with Emulate3D technology can be experienced, operated, and shared using virtual reality, augmented, and mixed reality devices. Emulate3D is launching Controls Testing for Machine Builders at IMTS this year - we've taken our powerful virtual commissioning technology and integrated it within SOLIDWORKS so that machine builders can mark up their CAD using a company-specific addin ribbon and generate a working emulation model from their familiar CAD environment. This step shortens and simplifies the model build and makes the benefits of the technology available to a broader range of users. 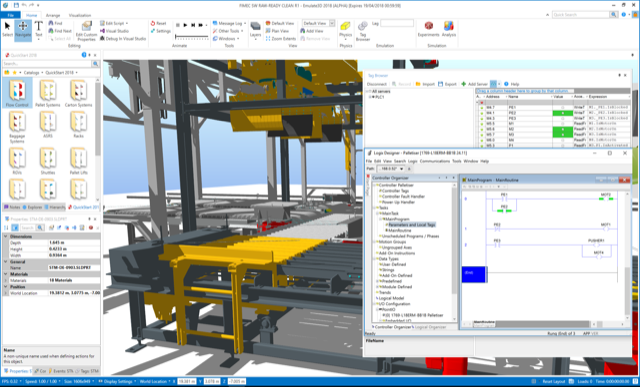 This technology is known as CAD is the Model, and enables users to continue to modify their design and generate the virtual commissioning model at the touch of a button. Emulate3D's focus at IMTS will be the demonstration of the new CAD is the Model technology for machine builders, but we will also be showcasing Emulate3D Controls Testing for larger systems, our widely employed flagship technology which takes controls debugging off the automation project's critical path and generates significant savings for users at the FAT and commissioning phases of their projects. Emulate3D Virtual Reality technology will also be on show - it is an ideal way of familiarizing operators with the sequencing and timing of the machine or system, without disrupting real production. 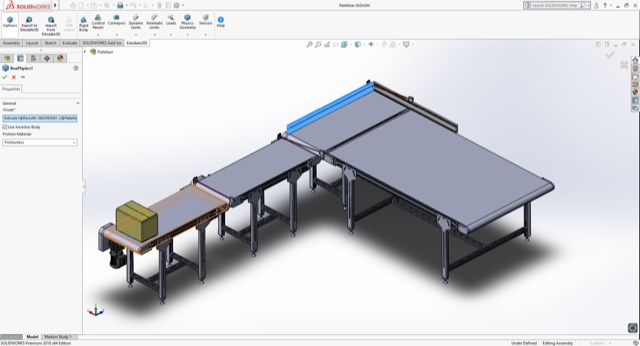 Wherever the operation of system prototypes need to be demonstrated to prospects, fully-interactive CAD-based Virtual Reality models are a cost-effective and rapid alternative to building a physical prototype. 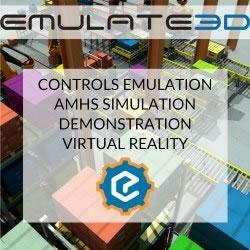 The Emulate3D booth will feature an interactive machine prototype that attendees can try out for themselves. The Emulate3D booth will be set up to demonstrate our products fully and educate attendees in the opportunities presented by our Dynamic Digital Twin and Virtual Reality technologies. I'll be looking for new machine and material handling innovations as well as useful IIOT implementations, and talking with exhibitors about successful implementations of their technologies. At Emulate3D we find that trade shows are the best way to introduce our technology to new users - as our products are very visual and dynamic, we get extremely positive reactions from attendees experiencing them for the first time. Booth visitors bring their company perspective and experience to the show and often surprise us with their insight and implementation suggestions. Trade shows are a great place to initiate the long lasting relationships we create with our users. We've been going to trade shows at McCormick for many years now, and we rent a house just north of the Lincoln Park area, which means we are well placed for the Kingston Mines, a great blues club where two bands take turns to play sets in adjoining rooms every night. So it doesn't matter what time you turn up, you can always get a seat at the front by waiting for the next set to start. Buckets of beers and other beverages are brought to you by very attentive staff, so you don't even need to line up at the bar.